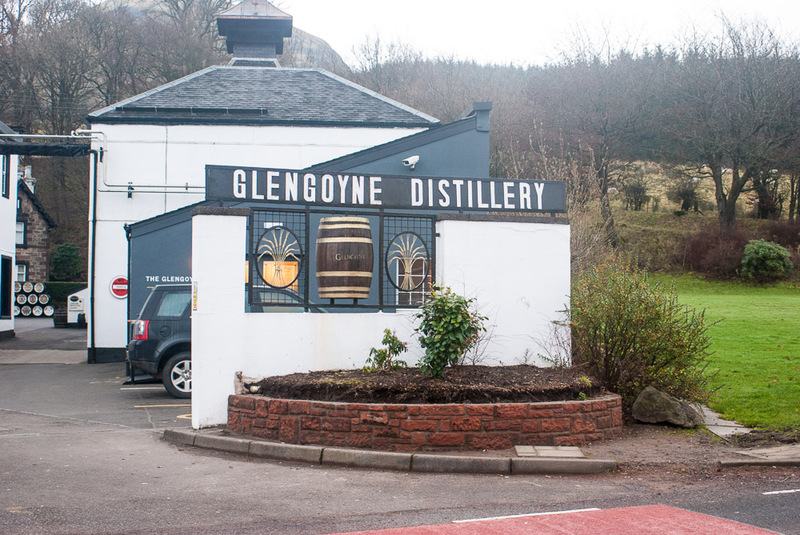 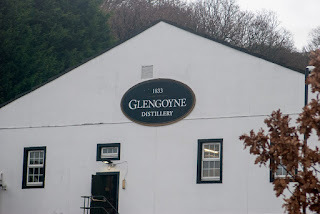 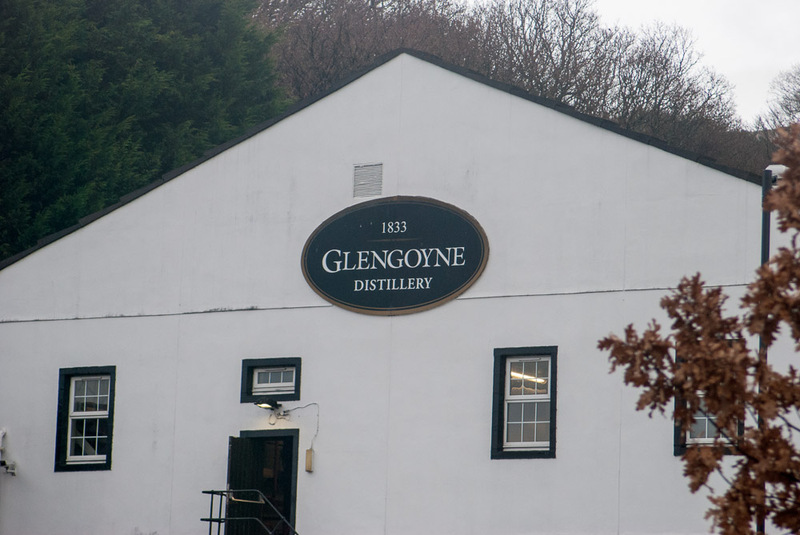 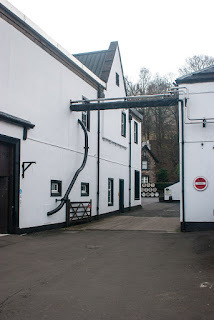 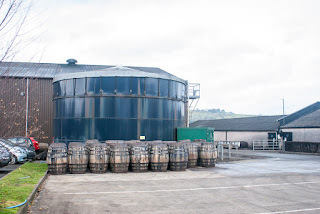 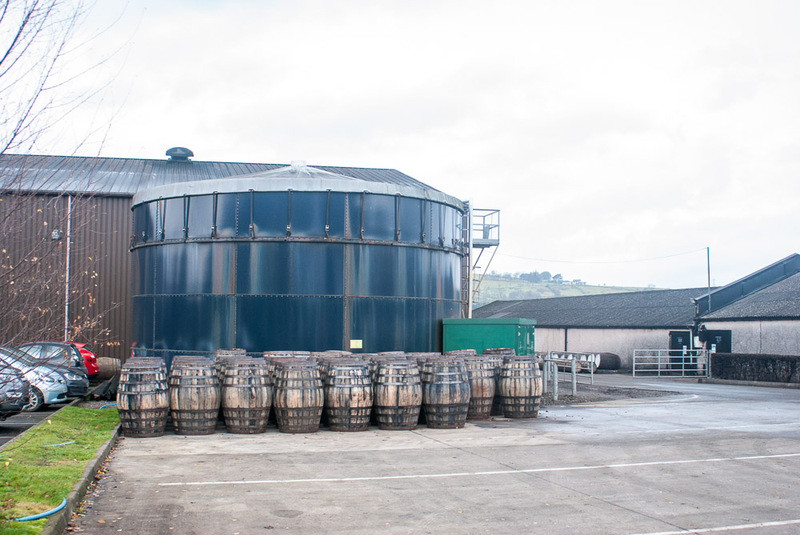 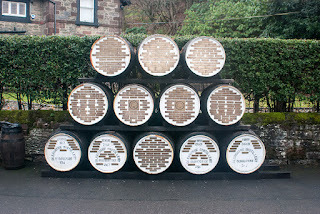 Yup, our appointment for the master class at Glengoyne was at ten in the morning. 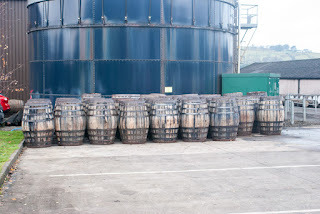 They were already busy making whiskey. 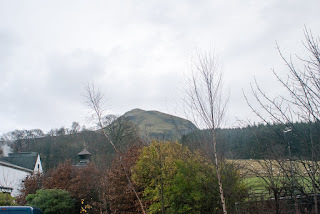 The sky was cloudy, and it was chilly. 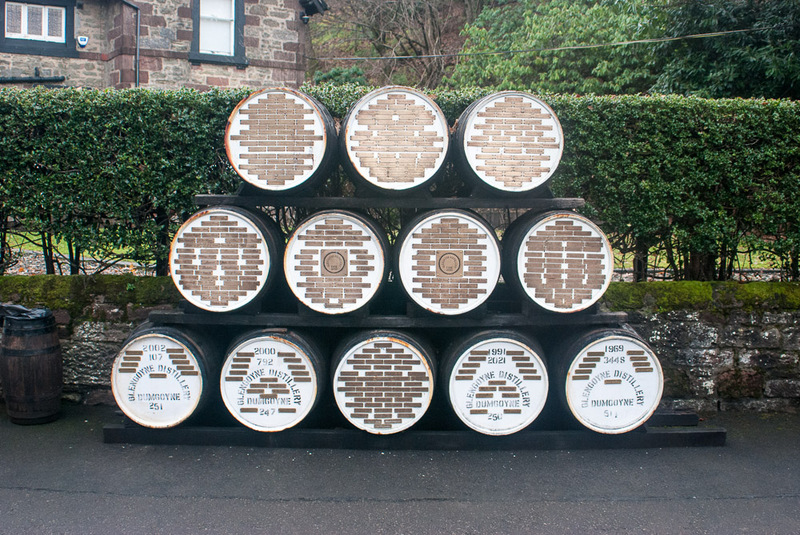 Not really the weather you'd expect in Scotland in December, though. Everything was still green and the temperature was well above freezing.